Andy Murray fought his way to a second Wimbledon title with a near-flawless straight sets win over Canadian Milos Raonic. The 6-4, 7-6, 7-6 victory is the Scot’s third Grand Slam win in total. Serena Williams has beaten German No. 1 Angelique Kerber 7-5, 6-3 to claim her seventh Wimbledon win and equal Steffi Graf’s all-time singles Grand Slam record title haul. Scotland’s Andy Murray steamrolled Tomas Berdych in the late Wimbledon semi. 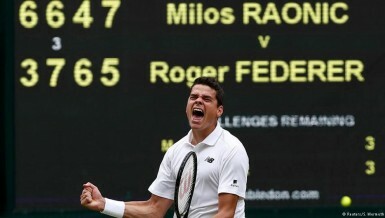 Earlier Roger Federer who was leading 2 sets to 1 was stunned by Milos Raonic, who became the first Canadian to make a Grand Slam final. Angelique Kerber is brimming with confidence before taking on the world number one in the Wimbledon final on Saturday. A victory for Serena Williams would see her equal Steffi Graf’s Grand Slam singles titles record. 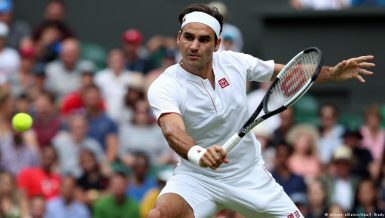 The prospect of an eighth title at Wimbledon is getting closer for Roger Federer. The Swiss swept Steve Johnson aside to reach the last eight. Elsewhere, German Angelique Kerber is through after a straight sets win. Serena Williams has taken another step towards matching Steffi Graf’s Open Era record of 22 grand slam singles titles. The American world number one powered past Annika Beck into the Wimbledon fourth round. American Sam Querrey held his nerve to topple champion Novak Djokovic in the third round of Wimbledon. Querry led overnight and held off a Djokovic comeback to condemn the Serb to a first loss in 31 Grand Slam matches. 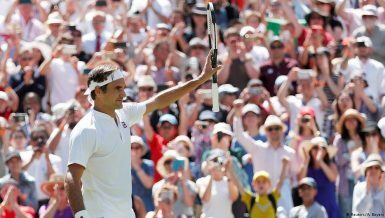 Day three of play at the All England Club featured the two biggest stars of the men’s game: world number one Novak Djokovic and seven-time champion Roger Federer. And both got the job done against low-ranked opposition. 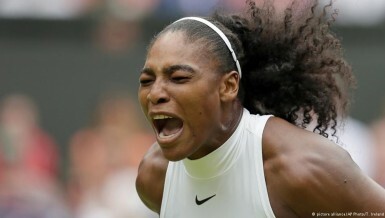 Play continued at the All England Tennis Club club with defending women’s champion Serena Williams moving on. Andy Murray was also victorious before the rains came. Action got underway at the All England Tennis club with a startling upset on the women’s side. Among the men, world number one Novak Djokovic, bidding for a Grand Slam, easily won his opening match.